Startup Nation is set to be “Cannabis Nation,” but its success relies on the global market, namely Canada and the United States, to bring in the money. The parliament recognizes a good trade opportunity when they see one. The Israel parliament unanimously passed the 16th amendment to the Dangerous Drugs Ordinance on December 25 of this year, permitting international exportation of medical cannabis. While Israel is slow to legalize marijuana for recreation use, Israel’s researchers are no strangers to the hemp plant’s cannabidiol (CBD) components for medical uses like cancer, chronic pain, and autoimmune diseases. 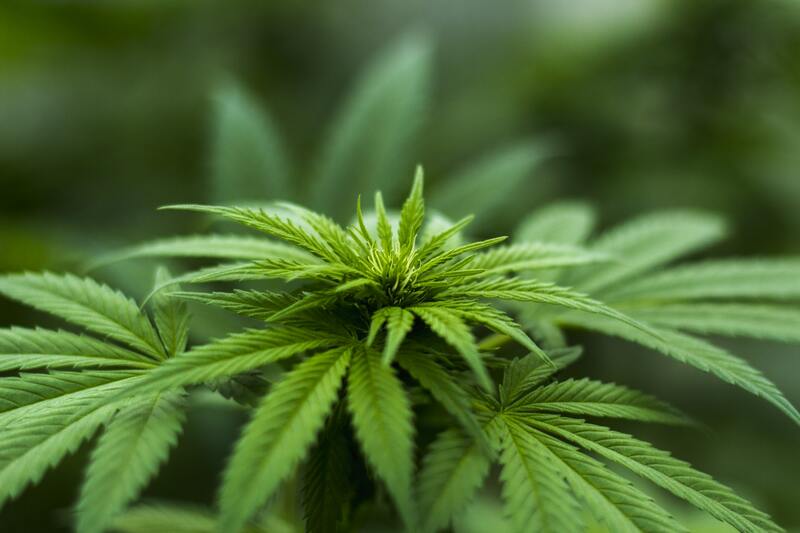 Tel Aviv University (TAU) has partnered with Hebrew University’s multidisciplinary cannabinoid research lab to develop promising treatments for bone fractures. TAU’s Prof. Likewise, Dan Peer of the Laboratory of Precision Nanomedicine heads the scientific advisory board of SciCann, a Canadian-Israeli pharmaceutical company specializing in the cannabinoid science. CBD and THC products can be purchased at the pharmacies, but pharmacists must take Israel’s new cannabinoid course in before they can distribute the medication,” says pharmacist Ansam Zedan. A course specifically about medical cannabis was developed for pharmacists in December 2017 to meet the demand for the prescriptions. Additionally, non-psychoactive CBD creams and oils are also now legal over-the-counter. “It’s a miracle for psoriasis patients. To find something that helps them relieve their itching and discomfort is very exciting,” Zedan added. Israel has so much experience in agriculture. And this is an agricultural product that at end of the day is selling for $100,000 per kilo. We haven’t exactly had that kind of capital for tomatoes and cucumbers. Israel is poised to capitalize on the industry by 1 Billion NIS in taxes alone. The secret to this revenue lies in the hands of the United States and Canada. Why is the International Exportation of Cannabis Products Important to Israel’s Economy? The small politically unstable country is steps away from being a “banana republic” with only a handful of resources to export. The major breadwinner has been high tech innovations like Mobile Eye and Waze. But now Cannabis is taking the lead. The country relies on exportation and global acquisitions to thrive. Since the hemp plant is rapidly outgrowing its 1930’s “reefer madness” stigma, the promise of financial gain is endless. 10 states in D.C. in the United States alone legalized recreational use and Canada recently became the 2nd nation in the world to legalize it. But it is the medicinal aspects of the super plant that promises the big wins. In fact, United States President Trump has signed the Farm Bill to legalize the growth of the non-psychoactive hemp plant, which could be pivotal for the CBD industry. Following suit, the World Health Organization is expected to reschedule cannabis at their annual meeting in March, 2019. They are expected to remove marijuana from the restrictive schedule IV and removing non-psychoactive CBD products containing less than 0.2% THC from drug control altogether. These are big wins for Israeli companies specializing in natural treatments. Perry Antelman, a seasoned Israeli pharmaceutical manufacturer of topical natural analgesics containing CBD, has taken measures has taken measures to register his CBDMEDIC products with the US Food and Drug Administration (FDA). “Our products are as legally safe to market [in the United States] as any other FDA-compliant topical pain relief product already sold on retailers’ shelves. Further, all CBDMedic products are made with THC-free hemp extract, so there is no concern regarding any effects from or testing of THC,” Antelman explains. While he can certainly provide his products locally, he understands he has a product that can help the global market. Since the hemp plant grows well in Israel’s temperate climate, it only makes sense that the state will handle the growing, harvesting, and manufacturing for the rest of the world. Israel is destined to be the next cannabis powerhouse. While only 8 companies in Israel cultivate cannabis currently, the new law promises to expand agriculture, technology, medicine, and numerous other industries. If you have a cannabis idea you would like to capitalize on, you may wish to head over to Mindspace at the end of the month for their Cannabis Tech Pitch Night in collaboration with CannaImpact, a creative agency targeting the cannabis industry. Claire Polansky is a Marketing Writer for Tel Aviv University and a freelance writer. She holds a Ph.D in East-West Psychology, an M.A. in Art Therapy/Counseling Psychology, and a BFA in Fine Art. She uses her media knowledge to generate conversations about Israel-based startups and natural health.